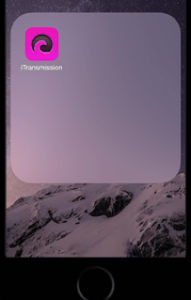 iTransmission is a native Bit torrent client for iOS devices including iPhone and iPad. Yes! You can, actually, download torrents on your iOS device with the aid and assistance of iTransmission. If you are aware, earlier you had to sideload the application onto your iOS device through Cydia Impactor. The disadvantage of this method was that you require re-installing the application after every 7 days. But not now as in this post, we are going to share the steps with you to download and install iTransmission on your iOS device from TweakBox. 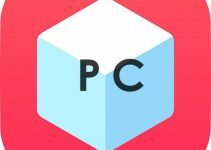 TweakBox, as you might already know, is a 3rd party App Store and houses a plenitude of iOS applications that don’t get to see the light of the day on the official Apple App Store. It even has those iOS applications that are originally paid in the official store but are available in TweakBox as free. Speaking about iTransmission, the application has got tons of features to make the process of downloading torrents on your iOS device comfortable and convenient. Check out: TweakBox APK: Download TweakBox APK on Android for Unlimited Apps. The beauty of iTransmission is that you can add a magnet, URL as well as web tasks. This means you can download files from magnet as well as torrent links. Moreover, the application gives you the ability to control the download as well as upload speed. The application supports automatic port mapping and port listening. You can download files on both Wi-Fi and cellular data. So that means you can continue downloading torrents on the move as well in the locations where Wi-Fi is not available. You can even move the downloaded files to other applications through the export feature present in iTransmission. The application supports background downloading and this is one of the strong points of iTransmission. The app comes with an inbuilt browser so that you can search and add torrents from within the application. Well! The feature set is, indeed, interesting. Now, let us move forward towards the download and installation steps of iTransmission on iPhone/iPad from TweakBox. 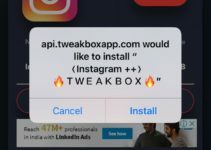 As a first, you require installing TweakBox on your iOS device. Please click here to download TweakBox on iPhone/iPad. The link will open Settings on your iOS device for the installation of the respective profile of TweakBox. Give your permission to open Settings and click on ‘Install’ present on the top left corner of the profile installation screen. This will install TweakBox on your iOS device. Within minutes, you can locate the icon of TweakBox on the home screen of your iOS device. Prior to launching the application, please navigate to Settings -> General -> Device Management and trust the profile of the application. CHECK OUT THE LATEST AND MOST UPDATED TWEAKBOX v2.0 FROM HERE! Next, launch TweakBox and search for iTransmission on it. Tap on the search result to go to the application information screen where you require tapping on ‘Get’ to download and install iTransmission on your iOS device. Please don’t forget to trust the profile of iTransmission as well once the installation is complete. Launch the application from the home screen of your iOS device and start downloading torrents. So, these are the simple features along with the download and installation steps of iTransmission on iPhone/iPad from TweakBox. If you got any questions to ask or face any issues during the installation process, please let us know about the same in the comments section provided below. We are always happy to help you.